Good service is hard to find! When the well meaning call centre person at Optus assured me “it won’t happen again”, I could only offer an ironic chuckle in reply. Since being “forced” onto the Optus network when they acquired the rights to the English Premier League, I have had half a dozen interactions with their support. It has invariably been bad. Very bad. Even by the generally very low standards of the Telcos. According to the TIO – Telecommunications Industry Ombudsman – complaints were up by over 30% in the first quarter of 2017 – to on average 8.4 complaints per 10,000 services. And that is, of course, only the tip of the iceberg as most of us give up long before we take the trouble to lodge a formal complaint. The Telcos are not alone, anecdotally the big banks, airlines, utilities and many government departments are almost as bad. In my experience some of the notable exceptions are the ATO, quick to answer by people that know their stuff, and insurance companies. The latter spearheaded by AAMI who, quite amazingly, is one of the very few big companies that actually have a human being answering the phone every time. And typically within a few rings, long before that infuriating “your call is important to us” message chimes in. But size is not the only common denominator of bad service. Increasingly, many medium sized and even small companies make the same mistake – sacrificing customer service on the altar of “smart” technology. Having worked in technology related companies for almost four decades, I have learnt that technology poorly implemented is very rarely a good solution to any business issue. It may seem smart and cost effective to have a fully automated call response system answer incoming calls, but unless it is implemented with extreme attention to detail and matched by a sophisticated and well integrated CRM – Customer Relations Management system – it defeats the purpose of it. Why, when I have already entered my customer number into the system, do you have to ask me again? Why do I have to tell you if it is a billing issue or a technical issue when you have already forced me through four layers of painstaking machine interrogation? Why don’t you already have my details on the screen when my call is answered? Why don’t you have my billing information instantly available? Why is my customer service history so hard to find? And why, oh why, do I have to tell you my date of birth every time? 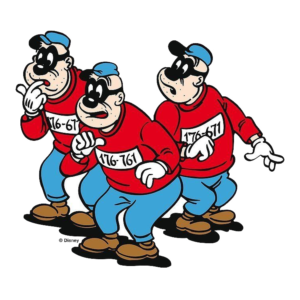 Would anyone, and I mean anyone, even one of the Beagle Boys, want to waste time calling customer service pretending to be me? That is, of course, if Bigtime Beagle – or I – could find the phone number in the first place! The trend of the last five years has been to implement “Self Service Portals”. It took me 10 minutes of futile searching until I found the Optus phone number, I had to initiate an online chat to get it! The online portals, chats and social media platforms are increasingly used to present the veneer of “we care” to customers, whilst in effect achieving the opposite, creating a defensive wall of links to FAQ’s, documentation and guides that may be helpful, but so often get in the way of finding answers, increasing customer frustration. Self-service is not all bad, of course, many of the American tech giants do it very, very well – for all it’s clutter, Amazon’s systems works flawlessly almost every time. One of the many reasons Australian retailers have a lot to fear when Amazon launches here. It comes down to implementation. And above all, to training. I feel genuinely sorry for the support people at Optus and many other such companies I have engaged with. The best customer service software, the most accurate database, the fastest server and most sophisticated call management are only as good as the operators using them. Too often, having waited “patiently” to be connected, I find myself talking to service people who quite simply don’t know the answers, but more importantly, don’t know how to find out, so more time is wasted. Add to this the language barriers caused by the prolific use of overseas call centres, making it harder both to explain a problem and to understand the response. And not just language barriers. To an Indian call centre person escalating a problem means losing face, but to an Australian it means “great, I don’t have to talk to this obnoxious person any more”. As a (more or less) retired businessman, I understand that so much of this is driven by the need to drive down operating costs. But that, too, is a dual edged sword. Again using Telcos as an example, the cost of acquiring a new customer is many times the cost of retaining a new one. So the saved cost of minimal training leads to poor service and customer churn. 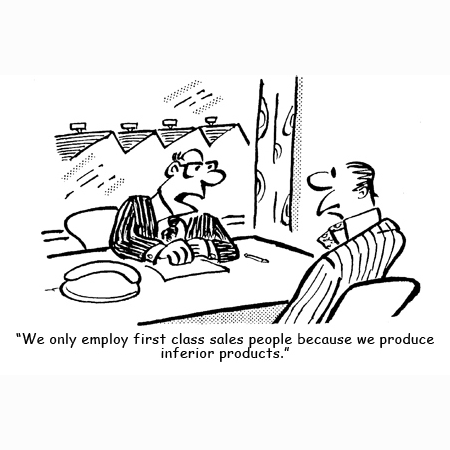 And the loss of repeat customers may well (and does) translate to much higher sales and marketing costs. The cost of minimal training of support staff is low staff morale and higher turn-over of staff. Poor training means problems are not solved in a timely manner, requiring more calls, more time spent on calls and even more customer frustration. The list goes on. 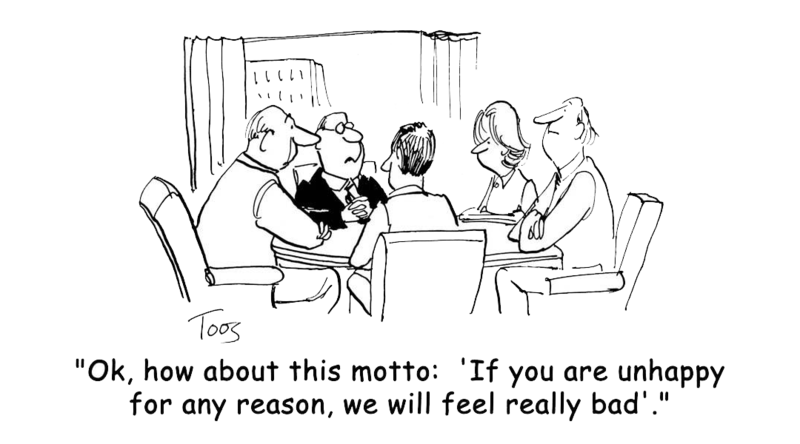 In the end it all comes down to poor management. Many people just give up in the face of unresponsive customer service. I don’t. I escalate. And I quickly go straight to the top if I have to. 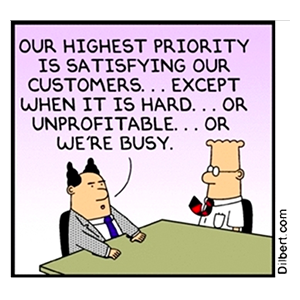 Good or bad customer service starts at the top. The well documented improvements in Telstra’s customer service over the last few years were driven by David Thodey, their (sadly departed) leader who clearly cared about customer service. Optus under Bob Mansfield was an extraordinarily responsive company, it has been all downhill since, starting with the extraordinarily intelligent Ziggy Switowski, who allegedly claimed “I don’t speak to customers”. In the early days of Virgin Australia I had a shocking customer experience, stranded at Tullamarine Airport without feeling any love at all from their service desk. I guessed the email address of the CEO, Brett Godfrey, and sent off a polite but pointed message. I had a response in 15 minutes, acknowledging fault, apologising, and I was on my way within an hour. I have been a loyal customer ever since. David Thodey, Bob Mansfield and Brett Godfrey (and incidentally the founding CEO of Vodafone in Australia, the late Graham Maher) are examples of big company leaders who “get” customers. They know that customers pays the bills for their companies, they understand that customer loyalty is not achieved through marketing, but through how customers are treated. They know that poor service is bad for business. Good leaders understand that offering good customer service is paramount to business growth, customer (and staff) retention, sustainable profitability and thus, happy shareholders.